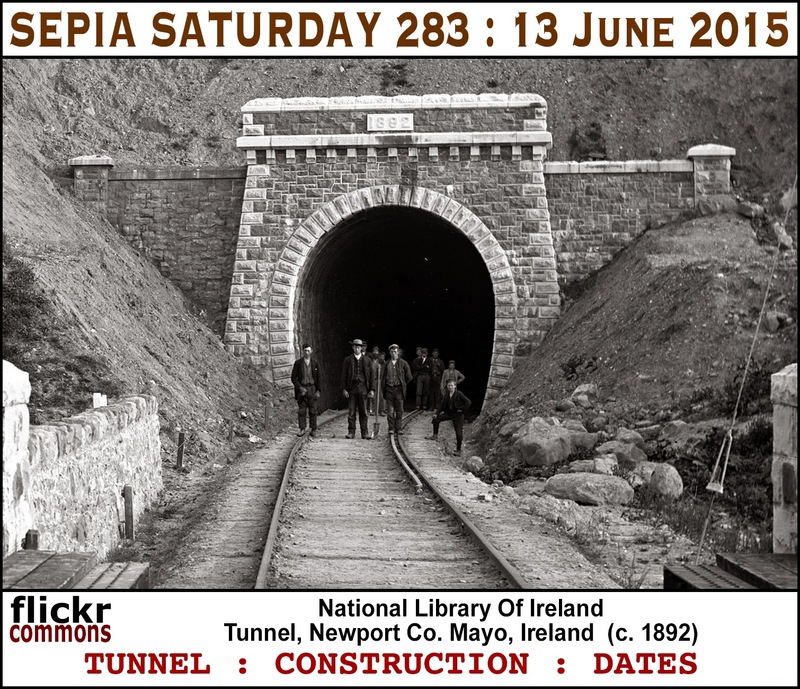 I am having to put this call together rather quickly as my Good Lady Wife insists that we have to make some apple pies this afternoon. How appropriate then, that we have as our theme image for Sepia Saturday 281 a 1972 archive photograph from the Flickr Collection of the Cloyne and District Historical Society of Canada. 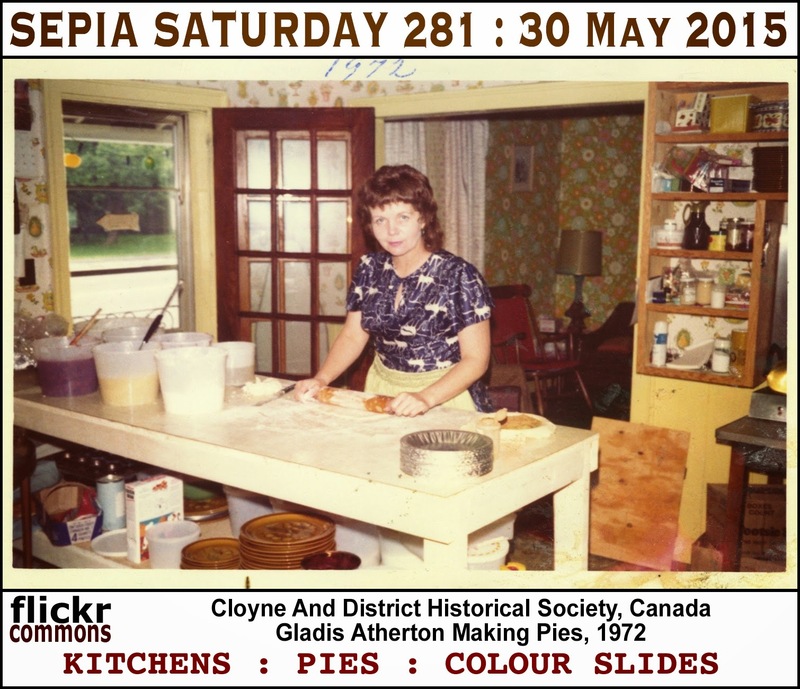 In may put you in mind of baking, kitchens, or pies : all it puts me in mind of is that I had better hurry up and report for duty in the kitchen! 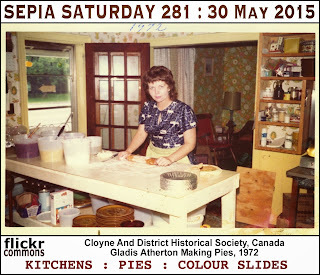 Whilst I am making pastry and chopping up apples, all you need to do is to find a suitable old photograph, feature it in a post, and post your post on or around Saturday 30th May 2015. Once the pie is ready you can add a link to your post on the Linky List below. 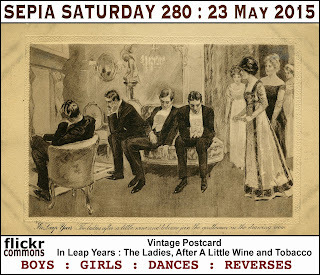 First of all let me thank all those Sepians who responded - both on this Blog and on our Facebook page - to my post last week about the future of Sepia Saturday. 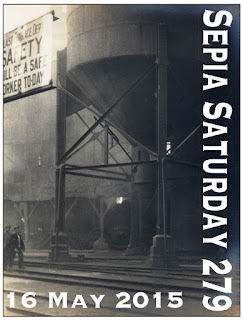 If I have understood things correctly, everyone wants to keep Sepia Saturday going as a Blog and with weekly themes. If that is the case, so be it. We can perhaps make a few changes - I particularly like the idea of Sepians putting forward theme images - and I will continue to welcome these over the coming weeks. Marilyn and I will then put our heads together and come up with some proposals. For the moment we have Sepia Saturday 279 - which features a picture of an old Australian blast furnace - to deal with (post your posts on or around Saturday 16th May 2015). 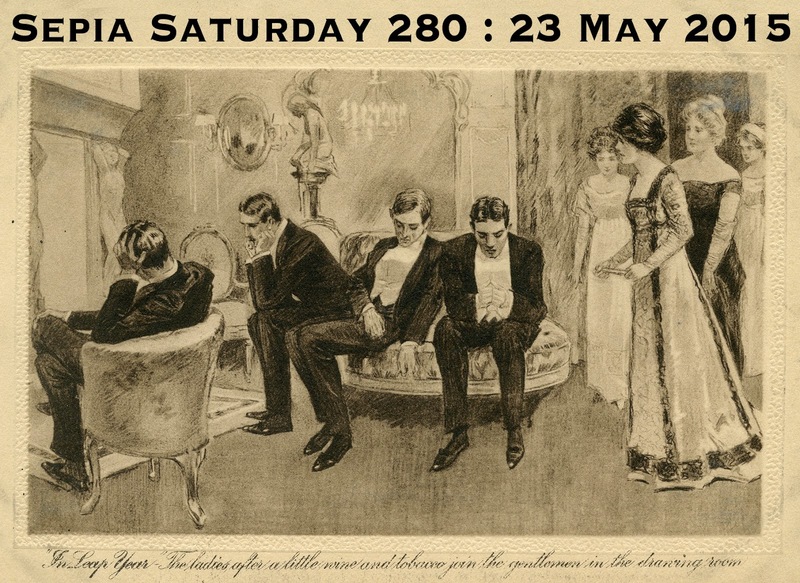 You might want to go with safety, you might want to go with danger or you may want to find something within the image yourself to act as your own theme. And there is always, and always will be, the option of ignoring the theme and just sharing an old photograph. 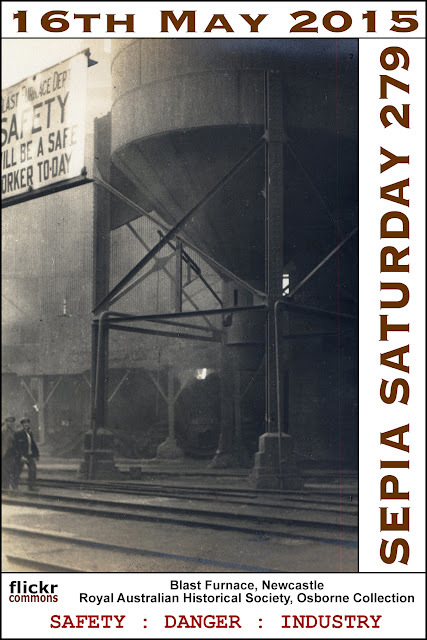 In order to encourage forward planning, here is a preview of the next three Sepia Saturday themes. 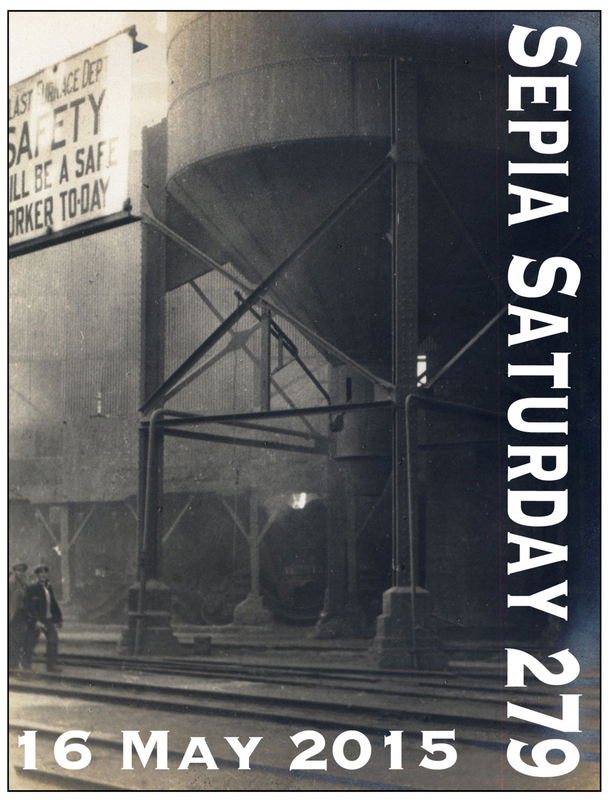 For now, throw caution to the wind, go with the safe option or go with the dangerous one, blast it, just post your Sepia Saturday post and link it to the list below. 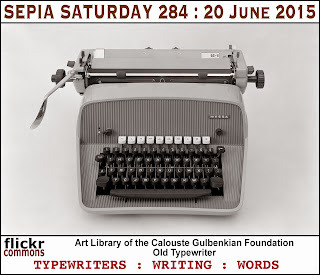 Our theme image for Sepia Saturday 278 - post your posts on or around Saturday 9th May and add a link to the list below - is a little old and tired. 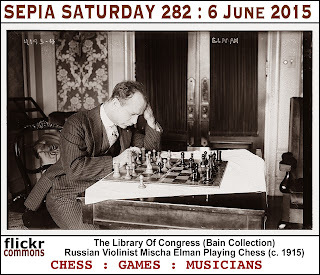 It comes from the Flickr Commons archives of the Romanian photographer, Costica Acsinte. I thought it would provide a suitable prompt to remind us of those old and tired images in our collections. 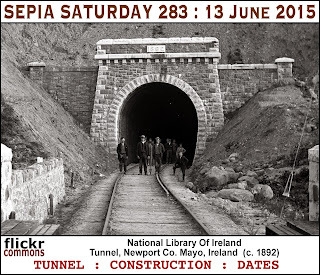 Images that are past their best or in need of a little care and attention. 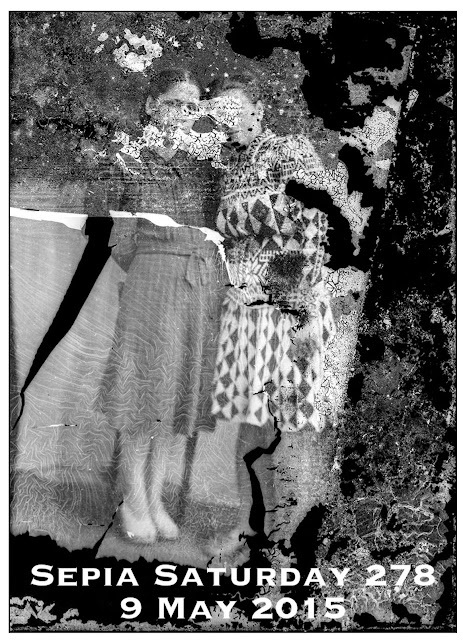 You might want to share images that have faded, images that have disintegrated or even images that have been restored. Or, as always, you can ignore the theme and just share any old image you want. 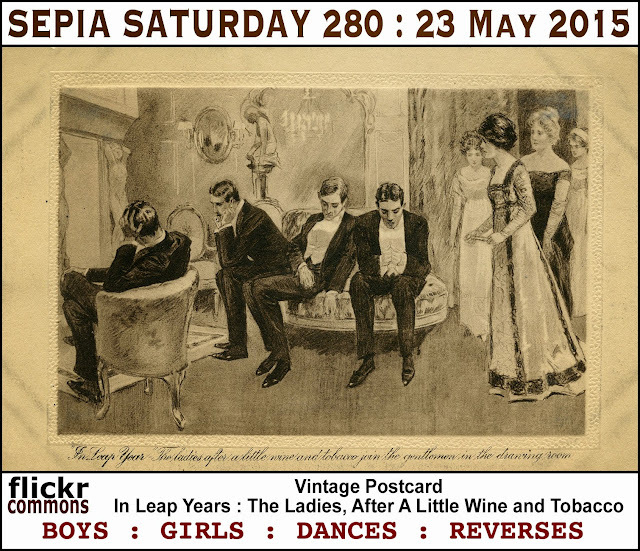 But whilst our review takes place, Sepia Saturday steams on as always, so here are our next two themes so you can prepare for them. 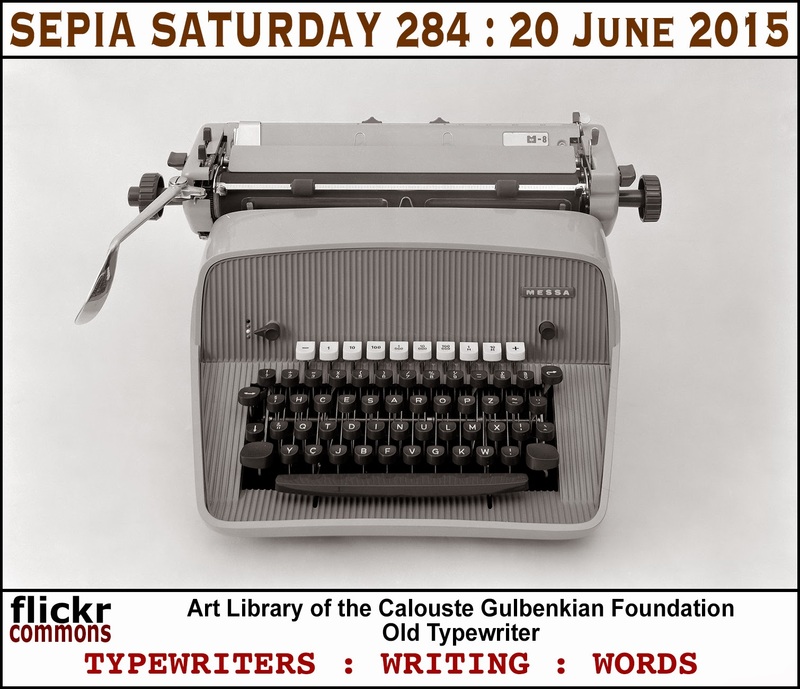 Reading back what I have just written I see that I have used the phrase "images that are past their best", a phrase that should be banned from the Sepia Saturday lexicon. We lovers of old images believe that no image can ever be past their best, they simply get more interesting as they get older. Like a lot of bloggers I know.